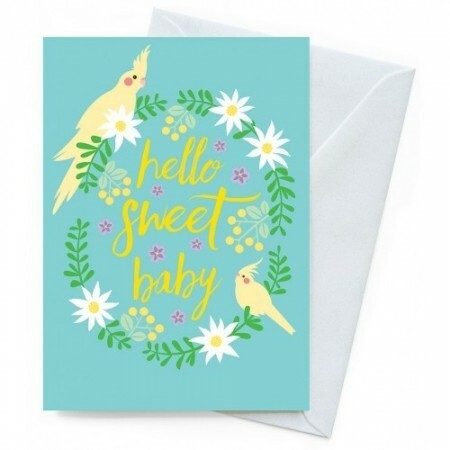 Say your first hello to the new little one in your life with this beautiful card featuring a wreath of native flannel flowers and cute cockatiels. 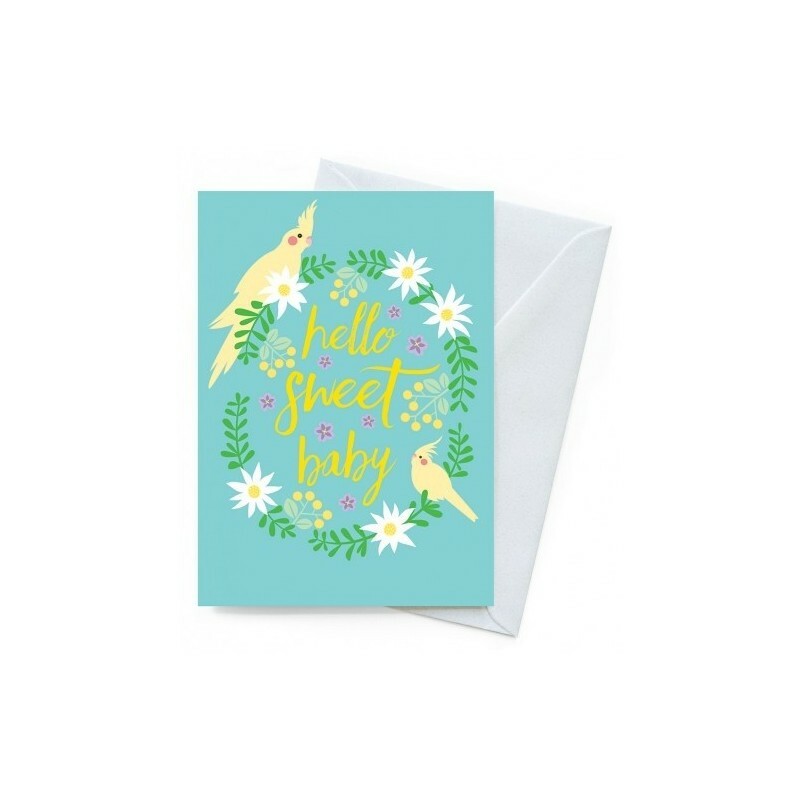 Printed on 100% post consumer recycled card using vegetable inks. From Earth Greetings.